"Perfect for cookies - not too soft - not too hard - just right." In a saucepan, over medium heat, heat cream and butter until butter is melted. Stir in the vanilla and confectioners' sugar. Remove from heat, and beat with an electric mixer until thick and smooth. They taste just like the Girl Scout cookies with the peanut butter filling. 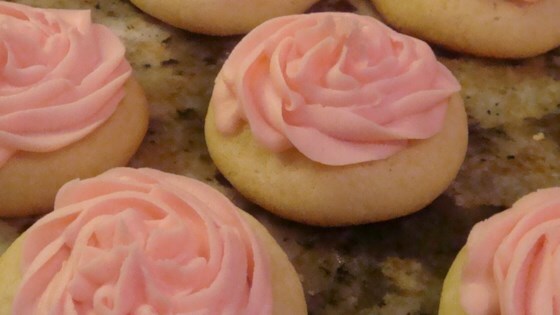 Very good recipe for sugar cookies. I slimmed them down by using skim milk instead of the cream and it still turned out great.